U18 Stellazzurra Rome took a giant step towards the Euroleague Basketball Adidas Next Generation Tournament Championship Game by beating U18 Divina Seguros Joventut Badalona 82-92 for its second victory in Group B. Dalph Adem Panopio nailed five three-pointers in scoring 24 points to go with 13 assists for an index ranking of 30 as Stellazzurra improved to 2-0 atop the group. 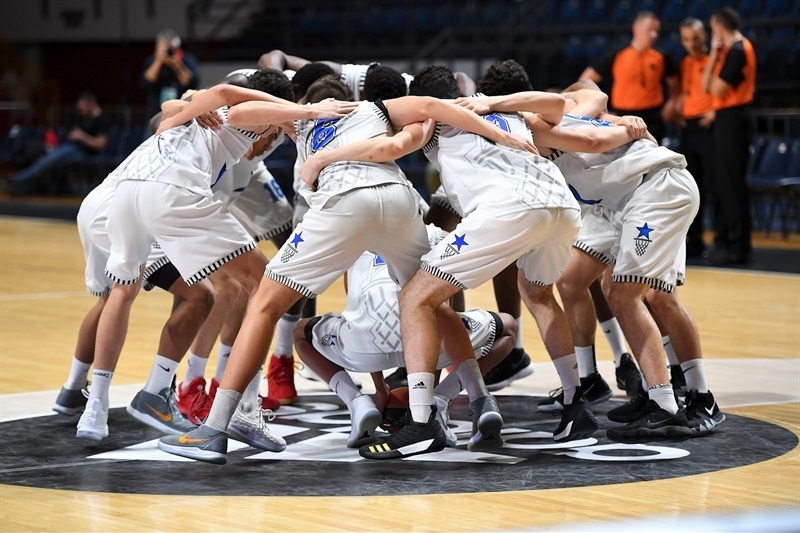 Lorenzo Donadio scored 16 points, Russel Tchewa collected 15 points and 13 rebounds and Abramo Pene chipped in 9 points and and 5 rebounds off the bench for Stellazzurra, which came to Belgrade having never won an ANGT Finals game after going 0-3 in 2015. 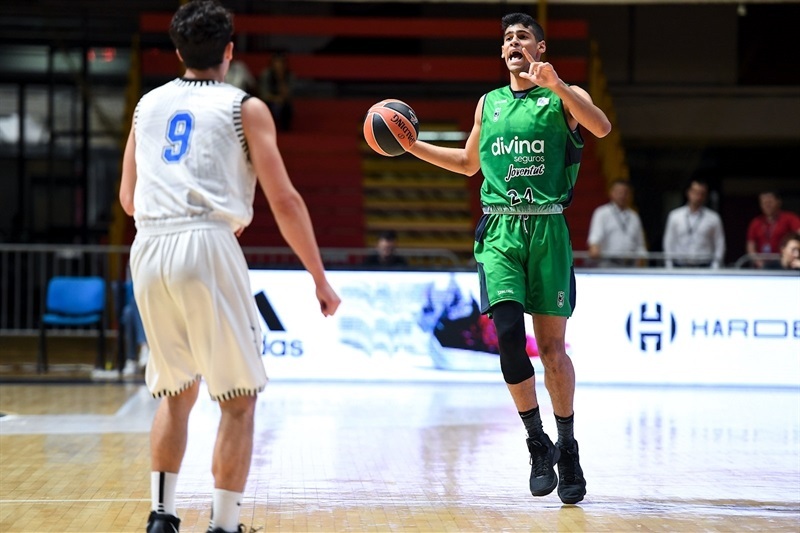 Joventut missed a chance to qualify for the Championship Game had it won, but it dropped to 1-1 despite 20 points from Joel Parra. 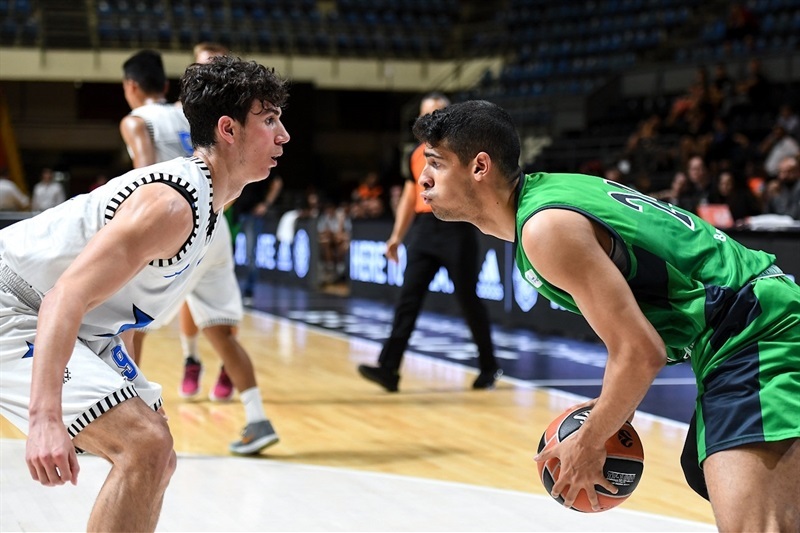 Didac Cuevas had 12 points, Arnau Parrado scored 11 poitns and Arturs Zagars picked up 10 points, 3 rebounds, 9 assists and 2 steals. Stellazzurra started the game by using its size advantage with Tchewa, who scored three baskets in leading 7-8. 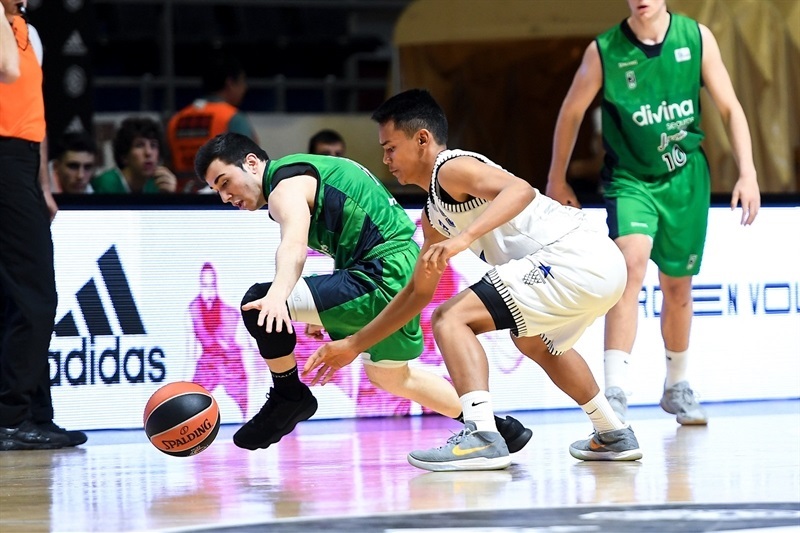 Joventut got three-pointers from Manel Signes and Cuevas and Cuevas hit a shot at the buzzer of the first quarter to knot it at 18-18 after 10 minutes. Panopio started to heat up and Alessandro Cipolla hit two triples as Stellazzurra opened a 27-35 advantage. 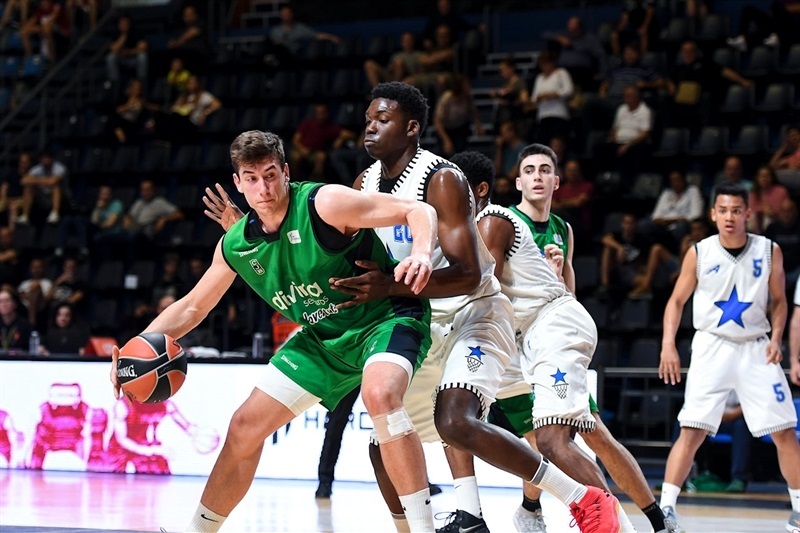 Oliver Bieshaar came off the bench for Joventut with four big points to get within 37-38 at halftime. Parra opened the second half with a basket to put Joventut ahead and Zagars made it 43-41. A Panopio three-pointer sparked a 0-9 run to pull ahead 43-50. 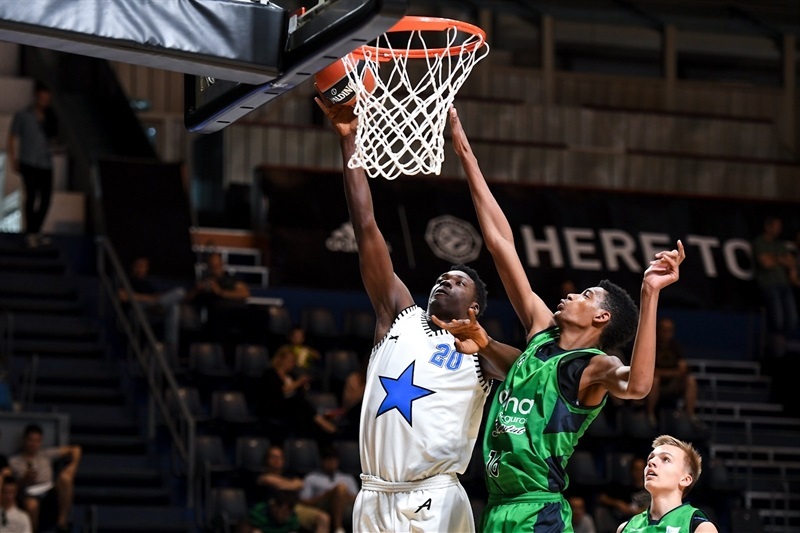 Joventut cut the gap to 53-54 and it was 56-58 as Tchewa scored 8 of 10 points for Stellazzurra. Donadio came off the Stellazzurra bench and hit a three-pointer and two more baskets in an 0-7 close to the third quarter and a 56-65 lead. 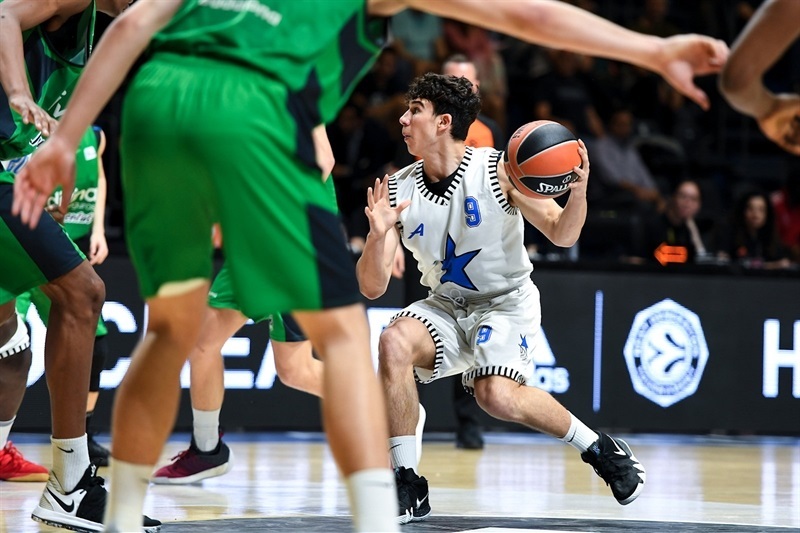 Parra’s score trimmed the margin to 63-67 but Pene had five points and Donadio nailed a triple for a 66-77 lead. Joventut had one more comeback with Cuevas and Zagars hitting three-pointers to make it 79-81. 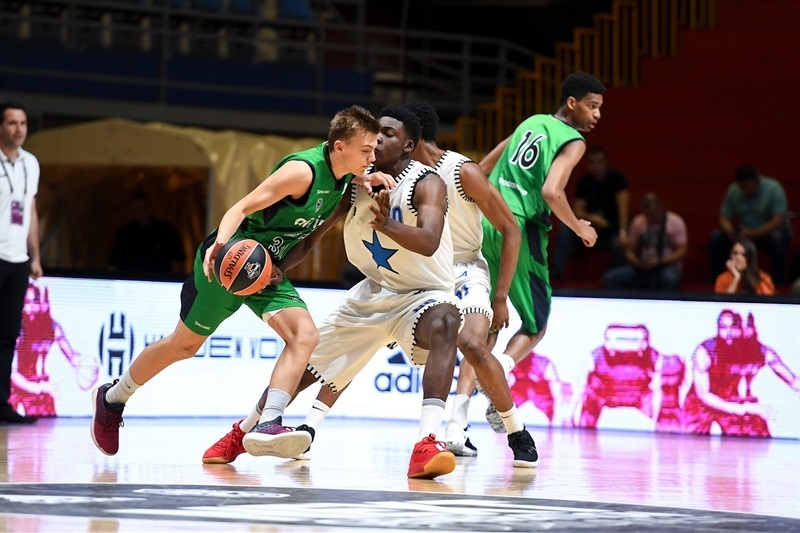 But Paul Eboua answered with a huge three-point play and then Joventut missed three straight three-pointers and Donadio hit a jumper at the final buzzer for the final margin as Stellazzurra was thinking about a possible three-way tie in the standings after Saturday’s play.